Following on from his controversial video about Steve McCurry’s iconic Afghan Girl video, Tony Northrup has published an update on YouTube, and the original video is now online again. Northrup's first piece sparked considerable debate in the photographic community, and no doubt this update will bring further discussions. In my original article, I personally should have presented Northrup’s video as a version of what happened, rather than offering it as a new narrative that transcended a previous one. The title should have had a question mark and the concept of what constitutes truth should have been subject to much greater scrutiny. I apologize for having presented Northrup’s video as fact rather treating it as a version of events based on research and then letting others decide its integrity. As consumers of information, we should continue to question how information has been gathered, whether it stands up to proper scrutiny, and whether we need to be more critical in the manner that we choose to share that information. Photographer Ted Forbes recently published this excellent video that discusses how contemporary news media functions, why it sometimes has a tendency to fall short, and why it’s important to acknowledge publicly when things should have been done differently. My personal earnings from these two articles will be donated to Afghanaid, a British charity that has been working with refugees in Afghanistan since 1983. "I apologize for having presented Northrup’s video as fact rather treating it as a version of events based on research and then letting others decide its integrity." your use of the word "research" is clearly being used very, very loosely. there was no research done by Tony and what little supporting evidence was featured made no reference, even obscurely, to his "version" of the events in question. and after watching ted forbes' video on the subject, his guest hits the nail on the head regarding this. what i'm curious to know is this: how many people still trust Tony Northrup despite this being just another in a long list of times he's purposely not gotten it right and, if you do, why? and what would it take for him to finally lose credibility in your eyes? Spot on. The McCurry acolytes are out in force here! and it's a bit odd to see someone, anyone, arguing against too much facts and evidentiary support. i guess that's just indicative of the times we live in. I think people are forgetting one thing. As a photographer Steve McCurry is a master. The Afghan girl is a wonderful portrait. First of all he got into the school, secondly he photographed a girl with very piercing eyes in greet light and such a strong expression on her face. Could anyone who reads this page have done better? Steve's photographs are stunning pieces of work. 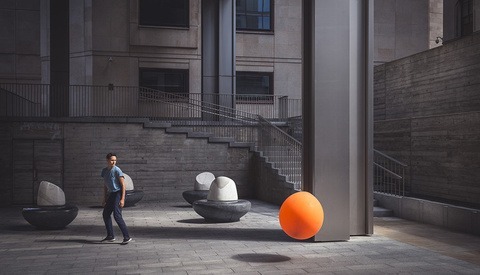 I do not know of any other photographer who is producing such consistently striking photographs. Looking at the photo of the Afghan girl with 2019 eyes we may disapprove of the Great Western World photographer on assignment. Plus in the 1980s' we in the west we were not as a-tuned to the sentimentalities of Muslim women covering their faces. So Steve photographing a girl with her face exposed and not waring a vail may not have resonated with him. As a photojournalist, here are also issues with Steve, or his team, photoshopping images (https://petapixel.com/2016/05/26/photoshopped-photos-emerge-steve-mccurr... and https://www.businessinsider.com/steve-mccurry-photo-editing-scandal-2016...). However does it matter, he is still a brilliant photographer and his photographs do tell a story. It is up to the viewer to decide if it is the right story. 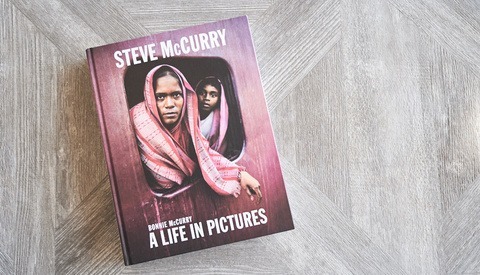 McCurry characterised himself as a photojournalist for many years, until it was discovered he never was. From early on he brought in props and models, staged shots, arranged re-shoots, had distracting elements removed from images in post-production. I think most people would say it matters if someone's whole career is based on a lie. He can call himself anything he likes now, but that doesn't magically rewrite history. You are linking to an anonymous doc, with no sources to back it up. How on earth is this any better than anything Tony have done? All I can see is, you are just another envious hater. How many people commenting here actually watched BOTH videos all the way through? Tony DID do research. He contacted both NatGeo and McCurry BEFORE posting the first video. He pulled the first video the moment McCurry replied to him, and WAITED for there official response. He reposted his original FACTUAL video, with supporting evidence, and errata for the couple off things he got wrong. (No burqa, just a veil, since she was in an all-girls school at the time, and not fear of McCurry, but anger at McCurry and her teacher). He, like Andy, also posted a follow-up article. If you are going to crucify Tony for getting two facts wrong, (and calling her name incorrectly), what do you all do with yourselves, now that all the facts are out? 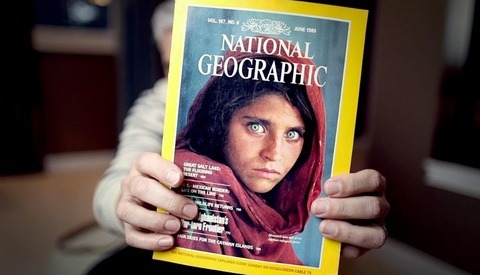 We have Sharbat Gula's version of the story, (and it has been out for quite awhile). It matches Tony's (since his side is mostly just retelling her side), and McCurry's team still refuses to comment or clarify certain statements they made, (despite having Sharbat Gula's story for years). McCurry admits to not trying to get to know anything about the girl. He admits to it being a portrait shoot. He admits to not speaking directly to the girl. McCurry made opinionated statements of “facts” about the girl. Tony got facts FROM Sharbat Gula's statements. Why is Tony the bad guy here? Oh, because he monetized the video to send all profits to an Afghan charity. Hmmm. Suppose Andy had done that…. Nevermind. Andy, you are right. Tony's article was not a new narrative. It is Sharbat Gula's narrative, retold by Tony (who only just heard it for the first time). Sharbat Gula's narrative is the one that transcended the previous opinionated, un-researched narrative of McCurry. Had the Nat Geo cover said, “Portrait of an Afghan girl in a refugee camp,” and had McCurry not characterise her as a shy, twelve year old, orphan whose parents were killed in a bombing, things would have been different. Two details; Scarf, not burqa, (which he got from his research), and anger, not fear, (which he got from Nat Geo). And, no, I will not be going through every piece of that anonymous, slanderous document, to counter anything. NMJ. He got more than two details wrong, but the details he got wrong were the very basis for his attack. Getting those details wrong reveals what an unethical hack he is. Anyone applying even minimal diligence would have seen those errors before publication. I'm not surprised you won't be addressing the whole list. Just label it "slanderous" and close your eyes. Of course, why bother when it's impossible to defend Tony Northrup's unethical behavior. Don't waste your time trying. Sorry to say, you FAILED! Northrup comes back with all of his source, anyone care to check it out before comment? Massive fail. A number of people checked. Key claims have no source, just Tony's slandering. That clickbait shark is back for another slanderous bite at McCurry's great name. Is it me.. but does Tony always come off as a snob. When I come across his videos, he's always talking down on photographers, editing, etc.. His reviews don't feel like reviews.. they feel more like he's doing them a favor by talking about them. But that's just me.